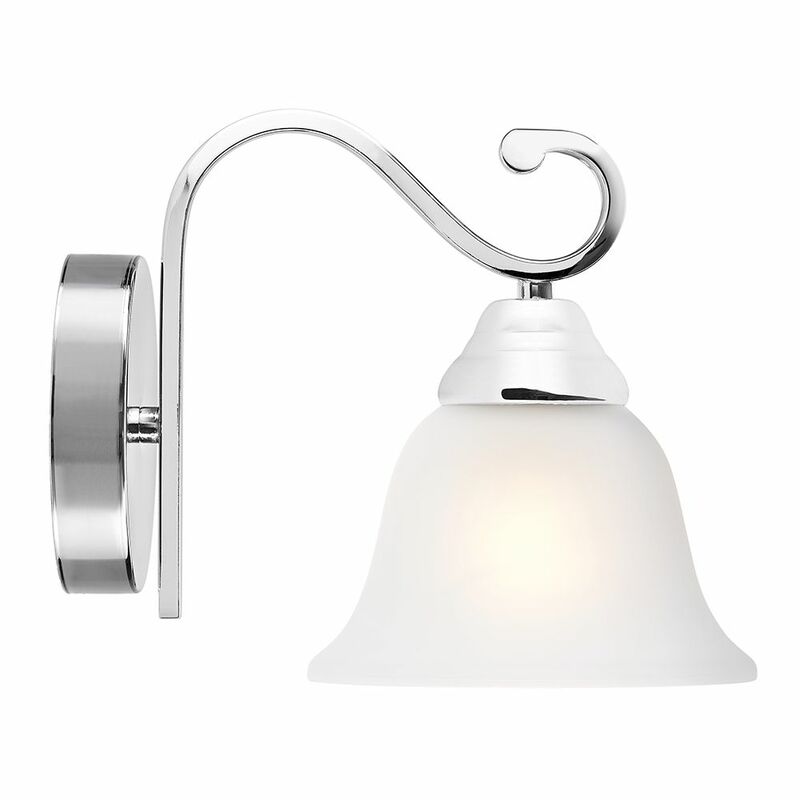 Traditional polished chrome plated wall light fitting with curling metal arm. 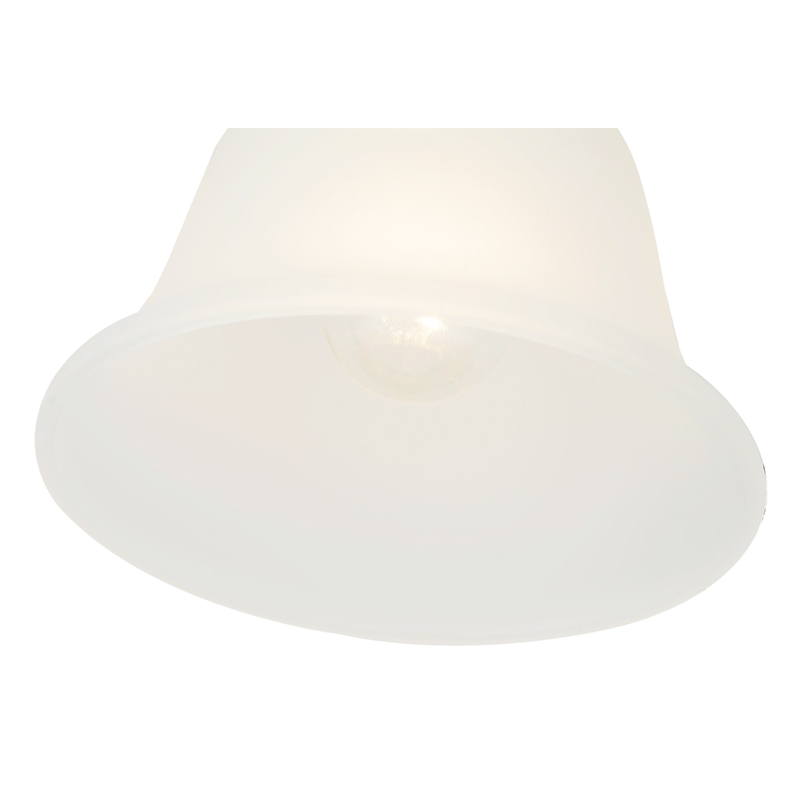 Features white frosted glass diffuser shade. Dimensions: Width - 16cm, Height - 14cm, Projection - 25cm. Requires 1 x maximum 40watt E27 incandescent bulb (not included). Low energy and LED bulbs may be used if desired. This fitting is suitable for dimming but bulbs used must also be dimmable. Complete with 1 year electrical warranty.